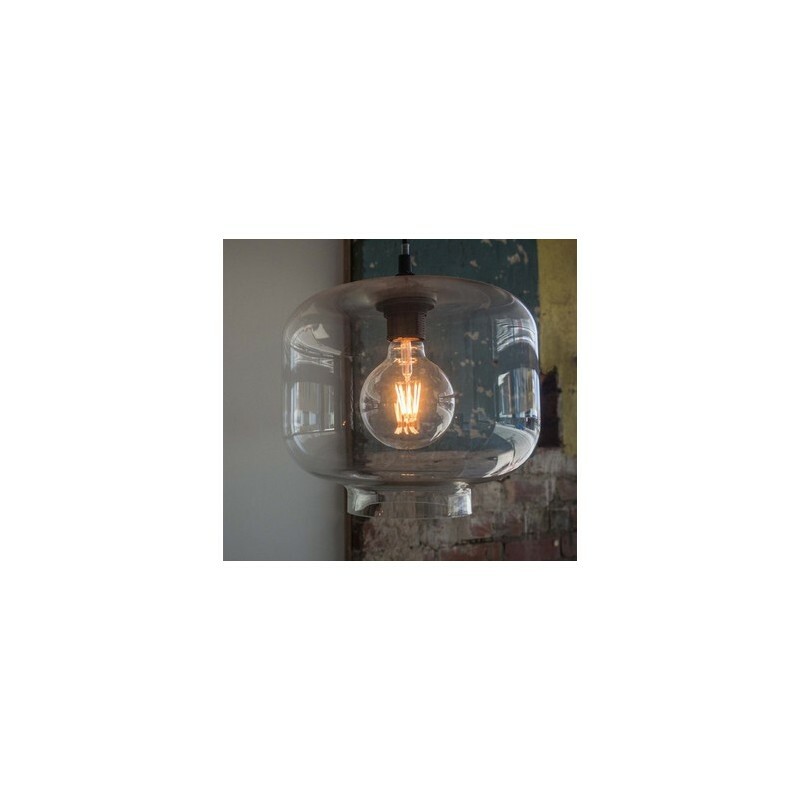 Round shape bulb with retro exposed filament and warm light without the power consumption. This Vintage LED light bulb is highly energy efficient, warm light rather than blue of most LEDs, very low heat, long lasting bulb. Two year warranty. Australian company. Screw into any standard light bulb fitting. 3W LED equivalent to approx. 30W incandescent. 95mm diameter x 125mm. In light bulbs, G refers to round or spherical shape. Very efficient compared to old technology including carbon filament, incandescent and CFL. More reliable and less expensive to run than the carbon filament reproduction light bulbs seen in many hip establishments (read more below). Warmest LED bulbs on the market (this one measures just 2200k on the colour temperature scale) achieving a very similar look to tungsten* and carbon filament globes without the power consumption and expensive cost. Vintage LED bulbs throw a lovely warm light with a resonable level of brightness compared to most LED's that throw blue light to get to the same level of brightness. Operate at a very low temperature - making them a lot safer for those with children. Dimmable, unlike many LED light bulbs. Screws into any standard light bulb fitting instead of an incandescent or CFL light bulb. Vintage LED has a published Ethical Soucing Policy, promising to source from the highest quality factories and those with the best management and staff treatment. The owners personally visit factories. And Vintage LED looks better - see image with old carbon filament bulb on left and Vintage LED filament bulb on the right. Vintage LED uses LED chip and sapphire infused silicon technology, which creates such warm filaments. Available in both B22 (bayonet) and E27 (Edison screw) fittings. The current image showcases the Edison screw. # All Vintage LED light bulbs come with a 2 year warranty. If the light bulb fails in the first 2 years you will receive a replacement at no cost. We will require proof of purchase, a photo and quick description of the fault for a replacement or, if you prefer, a refund. Coupled with the savings in power consumption, this essentially means each bulb will pay for itself. Very cheap to run: if you left this 3W light bulb on for a year it would only cost you $6.55* - imagine how little it would cost if you only used it a few hours a day. *Using a 25c/kWh electricity rate. what are those trendy vintage bulbs and why are LED light bulbs the best? The reusrgence in retro carbon-filament light bulbs across the restaurant and retail world is due to the warm light that emmulates candle light and flatters both the person and food. The green glow of compact fluorescent bulbs just doesn't fit the look. But this 1890's carbon-filament technology invented by Thomas Edison creates a lot of heat and uses a lot of power. 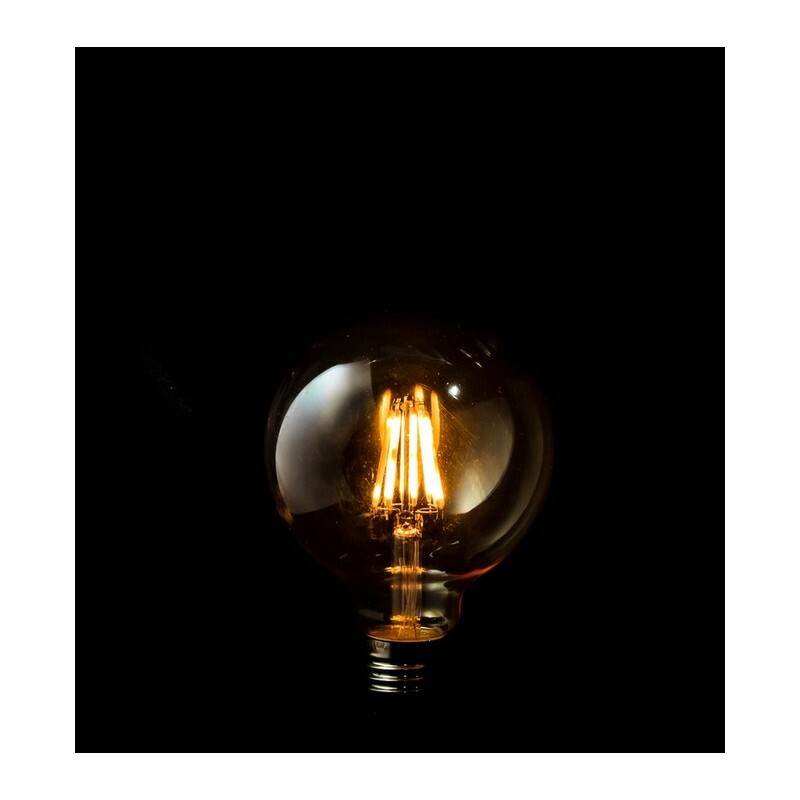 The carbon filament went out of style when the brighter and more powerful Tungsten-filament bulbs transformed the industry. *What is a Tungsten light bulb? Tungsten light bulbs or incandescent light bulbs are lights that generate light by heating a metal wire or filament made of Tungsten (a metal with an extremely high melting point) with electricity until it becomes white hot and glows. Due to using heat as the light source, Tungsten emits an attractive warm colour light, but it is highly energy guzzling (these bulbs waste 90 per cent of the energy they use, mainly as heat) and the glass becomes extremely hot. Over time with repeated heating, the metal slowly avaporates, becoming thinner until it breaks. Incandescent light bulbs along with any bulbs that have an efficiency level of less than 15 lumens per watt (lm/W) are now banned in Australia and most countries. What are the most energy efficient light bulbs? Compact fluorescent lamps (CFLs) and LEDs can be used in the vast majority of fittings to replace incandescent bulbs. CFLs consume about 25% of energy for the same amount of light output compared to incandescent light and last longer, but they can emit UV (ultraviolet) radiation and contain Mercury which can be released when the light bulb is broken. Mercury is widely known to be a health risk if inhaled or ingested, especially in small children. Only dispose of CFL lightbulbs through proper channels. LED bulbs, although they can be more expensive to buy than CFL's, have a longer life, contain no mercury, do not emit UV radiation, and consume less energy per lumen produced. Lumens (lm) are a measure of light output and watts (W) are a measure of energy input.